November 6th in Wordpress Plugins by Wordpress Jedi . 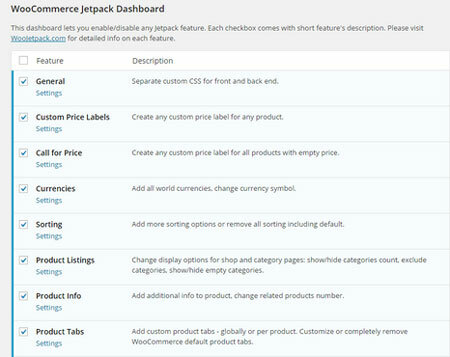 WooCommerce Jetpack: it adds a host of features to let you handle labeling, pricing, shipping, and inventory related tasks more easily. WooCommerce Poor Guys Swiss Knife: provides you with a bunch of tools to customize your WooCommerce site more conveniently. Whether you want to set minimum quantity restrictions per product or customize your checkout process, this plugin can help. 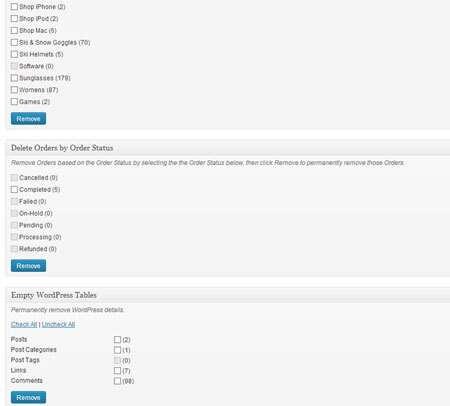 WooCommerce Store Toolkit: lets you empty your store by table, category, or order status. It is simply a time saver. 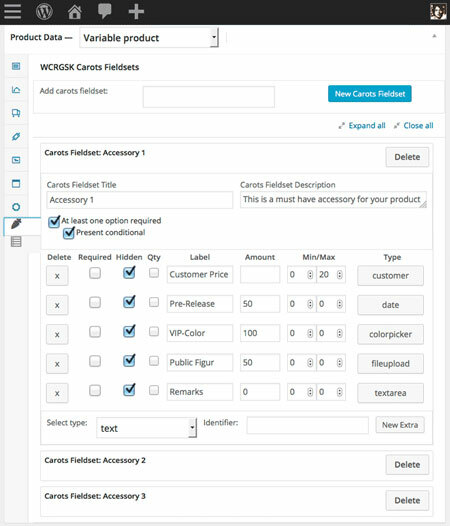 Smart Manager for e-Commerce: a handy WooCommerce / WP e-Commerce extension that lets you manage product variations, locate products, and edit products/orders/customers more effectively. 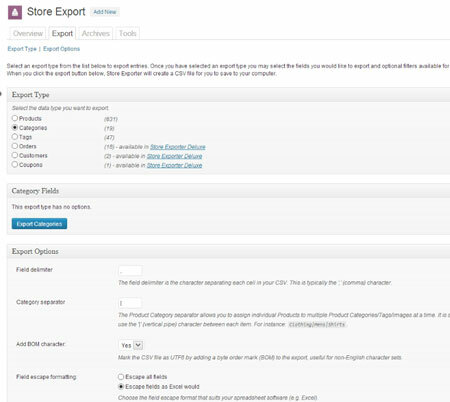 WooCommerce Store Exporter: a simple plugin that lets you export data out of WooCommerce in CSV, XML or XLS format. 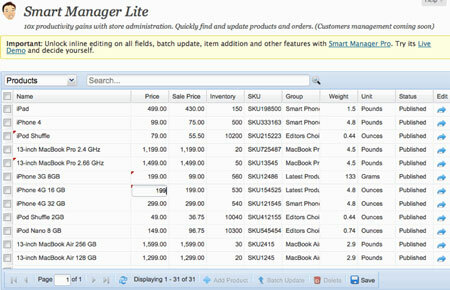 The pro version offers scheduled exports and a whole host of other features.